When looking for a recycling facility, it is best to choose one that puts premium on transparency. More often than not, an individual just wants to get rid of old and obsolete electronics to free the home of space. They don’t bother to check if their e-wastes were indeed recycled. 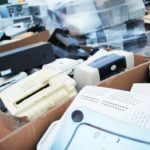 There have been reports a few years back that some computers in the country were sent for recycling but were instead shipped to developing countries including some African nations like Ghana or Asian countries like China and the Philippines. It was unethically sold at cheap prices. This will never happen with All Green Electronics Recycling. A client can oversee the disposal of e-wastes sent for recycling through the company’s online Client Portal. You will know, in real time, where your e-wastes are. 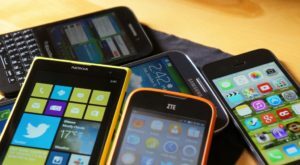 For destruction and shredding, the company’s mobile system can drop by your area so you can check out the actual work done on your old electronics. Do you have old electronics cluttering up your attic or garage? Carlsbad HS LAX and All Green Electronics Recycling have teamed up to host an event to help you get rid of them responsibly–absolutely free of charge! Members of the community and businesses are encouraged to clean out their garage or attic and donate their old electronics to a good cause. Bring all of your old electronics to the event, including, but not limited to: computers, monitors, televisions, printers, mobile phones, laptops, DVD players, VCRs, microwaves, calculators, iPods, cables and wires, telephones, fax machines, scanners, computer parts, and more. All Green Electronics Recycling promises to recycle everything it accepts in North America and to never send electronics to a landfill or overseas for processing. Certified Data Destruction is available for a small fee at all of our events.